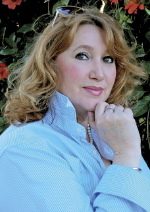 ← Debut novelist Eleanor Webster treats the Regency audience to a most unusual read! What pursuit is worse? Gambling to excess or smuggling? Gambling to excess is not criminal. However, smuggling is. Are there circumstances where smuggling could be morally acceptable – where the gains justifies the means? Come ponder this dilemma in book 5 of The Rakes and Rebels Series by Cynthia Wright. Feisty Julia Faircloth is used to managing the lives of her eccentric relatives, so when darkly dangerous Lord Sebastian Trevarre arrives in Bath and proposes to her shy sister Sarah, she switches places with the bride to save her from a shockingly carnal wedding night. Against his better judgment, Sebastian consummates a marriage to the most provoking, appealing woman he’s ever known, and then is forced to live with her in his neglected yet enchanting estate on the coast of Cornwall. Life there is turbulent, not least because Sebastian keeps many secrets. Will his reckless pursuits succeed in restoring his fortune…or cost him the lady who holds his heart? Step back in time to magical 1798 Cornwall, England, with Julia and Sebastian – and reunite with Andre and Devon Raveneau, as Andre discovers that his life and Sebastian’s are inextricably linked. My Thoughts: If George Faircloth had not inherited Turbans and considerable funds from his cousin, he most likely would not have started gambling and would remain in London working in a library. But, as with many addictions, one finds the allure irresitable. George very happily took this course, knowing he shouldn’t, but felt his luck would change when it did not. His demise was another’s luck. Lord Sebastian Trevarre won much from George Faircloth. He needed money desperately, for all his family’s money and property had been gamed away by his brother and he was determined to win it back. He won Turban, George’s home, but this home was the only home that Julia, Sarah, and Freddy had. The three siblings cooked up a plan (this is where it gets ridiculously funny) to make Lord Sebastian feel so bad about winning the home that he would gift it back to them. But Lord Sebastian had come up with another idea. He had to marry at any rate, so he would marry the lovely Sarah, the quiet beauty of the Faircloth family, who would easily fit into his life – not demanding anything from him, that is, a marriage of convenience. The rub is she is in love with Charles Wimple, a simple man who writes her poetry. When the first cooked up plan didn’t work, Julia came up with another, a young woman of great imagination and creative solutions! This one had me chortling through the telling. The situation only gets funnier and funnier. Lord Sebastian, aka, Lord Satan, is ready to blow a fuse about the demureness of his new bride who can’t show her face. The excuse was a pimple on the tip of her nose. Sarah is such a beauty, quiet, and a woman he could easily live with and not love. Oh, destiny and the machinations of Julia create lots of silly situations, but eventually all comes to passion and love. Narrator Rosalyn Landor is absolutely fantastic in the telling. Her portrayals of all the fully-fleshed and lovable characters were spot on. From Lord Sebastian’s gruff and explosive personality to his man-servant’s bored demeanor and dealings with Sebastian, to Polly, widow of George, to Julia with her high-spirited plans and daring ideas. The diversity and timbre of the voices were remarkable. Conscience ridden and married to Miss Faircloth, Lord Sebasitan’s first attempt of gaming and winning Turban (to resell) didn’t succeed. A new option came to him while in Cornwall. Some would think it worse than gambling. He decided to smuggle. His reasons were two-fold–to gain enough money to buy back property which was once his families and the second was to help the folk in Cornwall who needed salt to preserve fish feeding them through the winter. Funny, passionate, and terrifically great story telling. Ms. Wright has written ten books in the Rakes and Rebels, this being book 5. I enjoyed how she wove the Raveneau family into the story with an extra twist of fate. For Rosalyn Landor, the audio industry is a family affair. The London-born actress grew up with her actor-broadcaster father who later became a theatrical agent and introduced Roz to many of the great British “voices” from an early age. She also started her own career at the age of 7—her acting skills evolving through both theater and dance. The “read aloud” tradition is ingrained: She grew up with it, she practices it with her own daughters, and now her professional career centers on audiobooks. Roz notes that a “circle of life” completes itself with her current audiobook work—reconnecting with actors like Sean Barrett and Stephen Thorne and working with Martin Jarvis and Rosalind Ayres in an L.A. Theatre Works production, PACK OF LIES. Roz loves the opportunity to read all genres of work. “I can be anyone,” she says, “from the 95-year-old dowager to a 21-year-old frivolous spirit.” In titles like the mystery GHOSTWALK; a thriller, SECRET ASSET; and Tina Brown’s high-profile biography, THE DIANA CHRONICLES, Roz’s passion for storytelling is evident and appreciated. 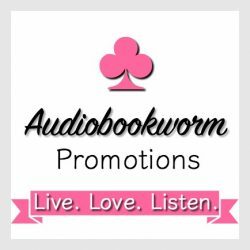 This entry was posted in Audiobook, Audiobook Review, Historical Romance, Regency Romance, Romance and tagged Audiobook Review, Cynthia Wright, historical romance, Rakes & Rebels Series, Rosalyn Landor, Smuggler's Moon. Bookmark the permalink. Thank you for the reblog. It was a great book and so well narrated!